We have an awesome team of Customer Service Reps! All of our reps are trained graphic designers. 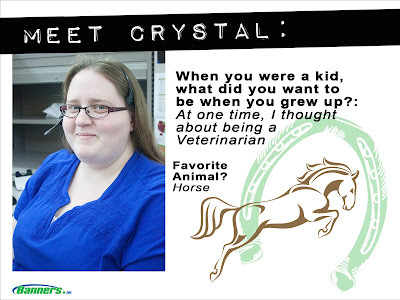 Crystal is one of our reps in our Central Minnesota facility. What is your favorite product that we sell? I bought some framed canvases last year, but they were for other people so I don't have pics. They turned out great and everyone loved them! I need to get some for myself, but I can't decide what to print on it. If you work with Crystal, feel free to start a conversation with her about one of her favorite things!